Some of the most infomative and educacional materials created by a master. 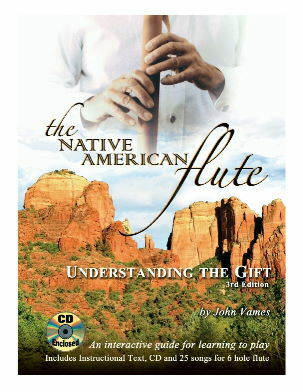 Everything you need to know about playing the Native American Flute. 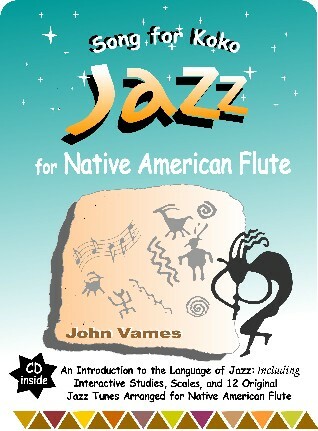 "Volume I Book and CD"
who wants to teach others how to play but up until now did not have a clear-cut format to do so. The follow-up book for "Understanding the Gift" Volume I. 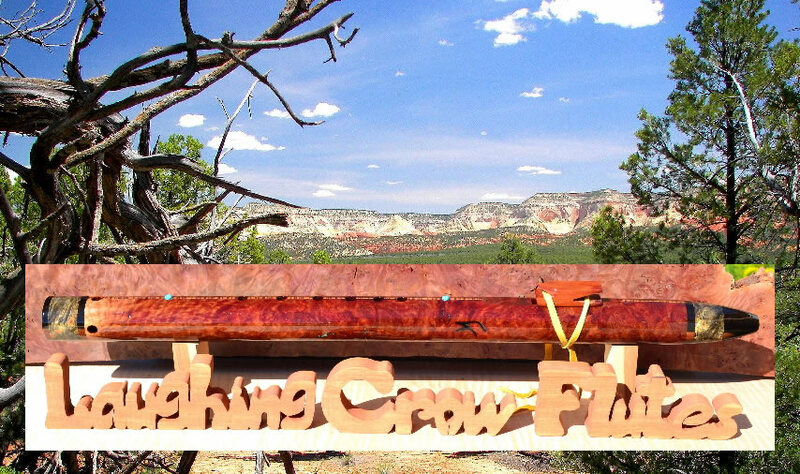 Designed to be a continuation of Volume I. 25 songs written in Nakai Tabulature and demonstrated on the accompanying CD. Compiled and edited by Sherry Vames. Copyright 2013. 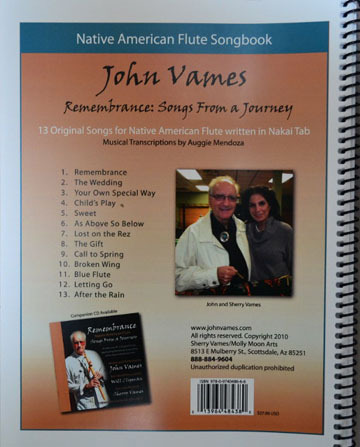 Copyright © 2017 John Vames Native American Flute Journey - All Rights Reserved. 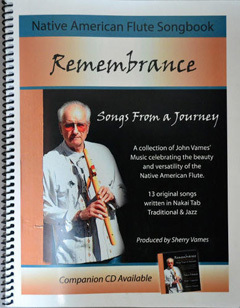 Here's an excerpt from the Introduction of the book, written by his wife, Sherry Vames: REMEMBRANCE, "Songs From a Journey" is a collection of John's unpublished flute music from 2003-2010. Contained are songs that reflect life's seasons and particularly John's. 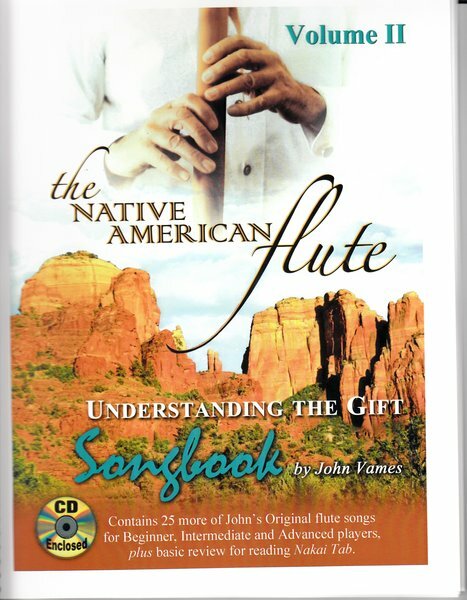 They tell of events, thoughts and feelings, and give the magic of the flute and John's playing. These songs will reach your mind and heart. 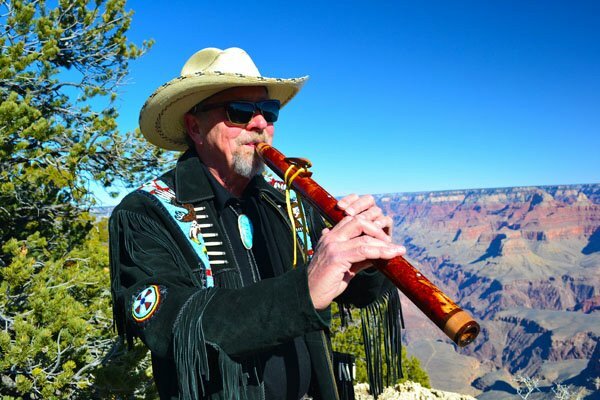 I think you will also appreciate their value in applauding the beauty and versatility of the Native American Flute in the many styles of music today. With the the exception of "child's Play and "Blue Flute", John recorded these songs in his computer in the early hours of morning. I found them in his Garage Band program, after he died. There are 47 songs and many are untitled. I titled them as I felt them, choosing names I thought reflected his journey. These songs are all very dear to me, especially "Letting Go. It tells the story of our hardest challenge and one we all must face. I think you will further enjoy "After the Rain" that follows. It is a song of acceptance and hope for the new beginnings. It is also the first song that John and I wrote together in 2005. Have a copy of John's Book, "Understanding the Gift" and instructional CD readily available. all the basics you need to know to play NAF are in there. Review chapters on Duration and Note Values. Re-familiarize yourself with the glossary of musical terms. My last suggestion is to have a copy of "Remembrance" CD. 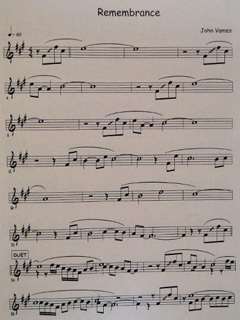 It will be half the battle in learning to play these songs Plus you are sure to enjoy listening. 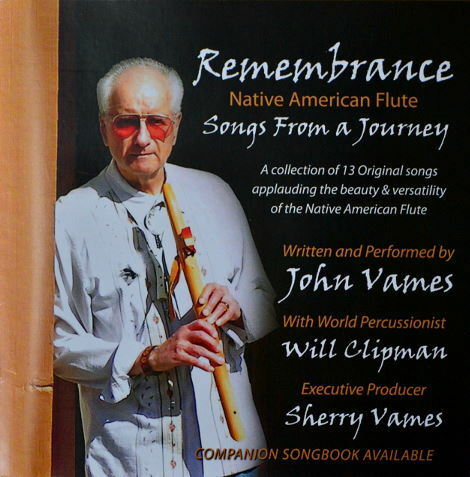 Accompanying John on some of the songs in this CD is World Class percussionist, Will Clipman. You will hear Will's percussion on CDs by R Carlos Nakai along with countless other recording artists from around the Globe. Will came in and recorded percussion in real time with John's music, adding textures and rhythms to enhance the wonderful songs. If you loved John as much as everyone who knew him did and would like to expand your horizons by learning his compositions, I highly recommend this book and CD. Even if you don't want to learn to read the music, the songs on the CD make great listening. "Song for Koko" Are you "stuck in a rut" with your songs? Need some new inspiration to get your creative juices flowing in a more productive and rewarding direction? John Vames has written just the thing for you. He has compiled this book of jazz melodies complete with CD to teach you to play and improvise in the Jazz style. 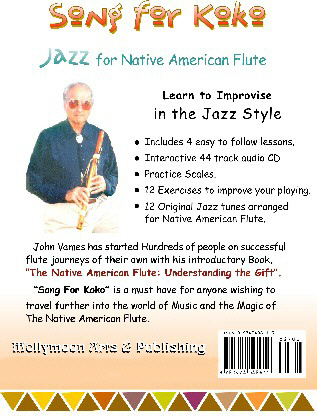 "The exercises are excellent; the accompanying CD clear and helpful;the musical material fun. I'd been messing around on my own for quite a while and had figured out enough basics to fake it for short periods but didn't know how to expand my reach. Vames' book took what I'd intuited and put it into a structured and systematic frame that will make it possible to do in a few months what might otherwise have taken me years to achieve. Without it, I certainly would never have gotten much beyond the point I'm at right now. He makes explicit things about rhythm that I'd felt but couldn't articulate either in language or in music. I find that liberating." "John Vames' new book KOKO is	written with enthusiasm (I can hear John speaking through the words) and the cd is clear, instructive. I am already up to track 17 and finding out I know more then I thought I did...and that I finally get it."